Wood h is located at Lower Milovaig, just a short distance from the village of Glendale, this area in the north west corner of the island is known as the Duirnish peninsula. 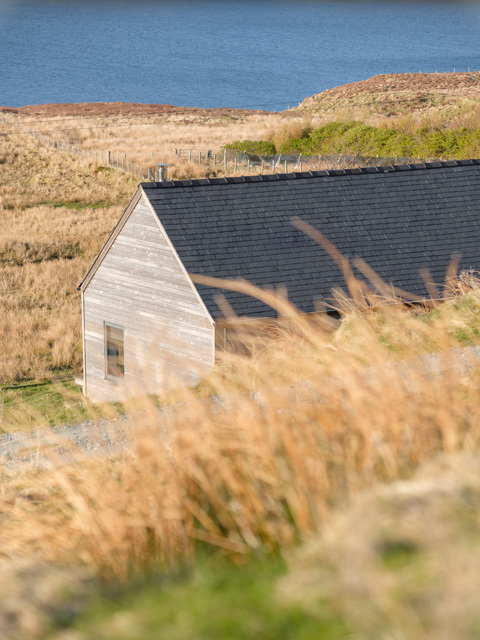 The views from the property of Dunvegan Head and the Outer Hebrides are quite spectacular. 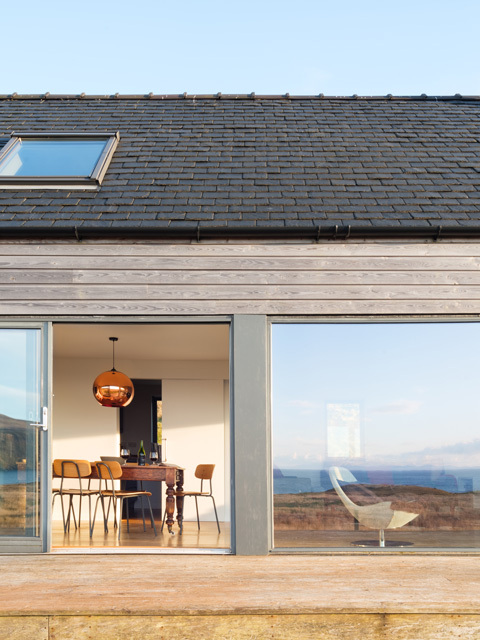 The larch clad property designed by an award winning Scottish architectural practice has been based on the style of a traditional Scottish longhouse. Built in a simple but stunning design the property blends with the environment of the area. 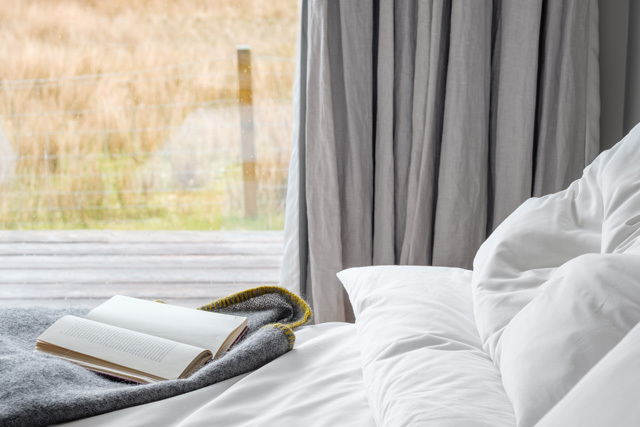 The property has been tastefully furnished with an eclectic mix of antique and modern furniture, and has been equipped to a high standard by the owners. 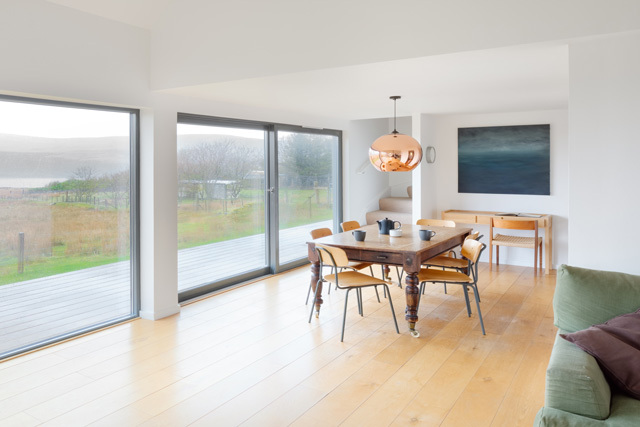 The spacious double height open plan living and dining room, has floor to ceiling windows, which can be slid open, enabling access to the large outside exterior decking area, perfect for chilling out and enjoying the sunsets. 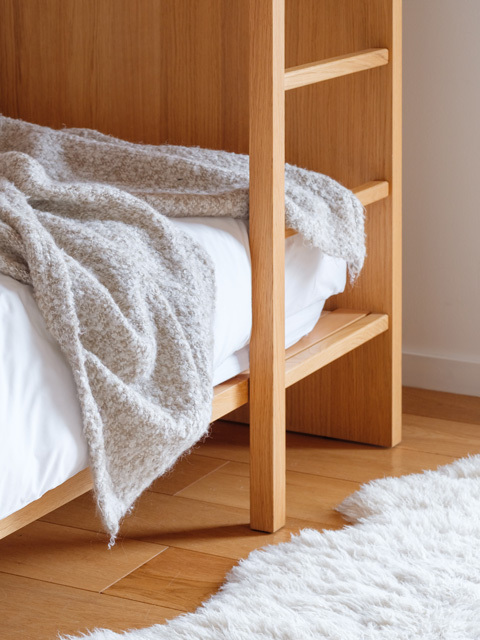 Throughout the ground floor of the property, solid oak flooring is gently heated by an eco-friendly energy system. 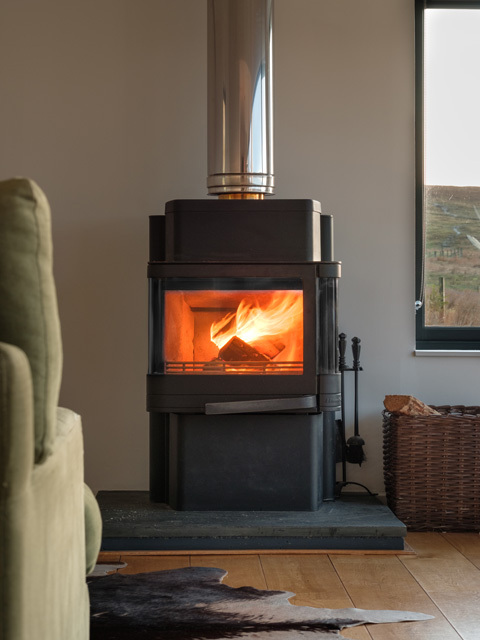 This is complemented by a wood burning stove in the living room, which keeps the house warm even on the coldest of nights. 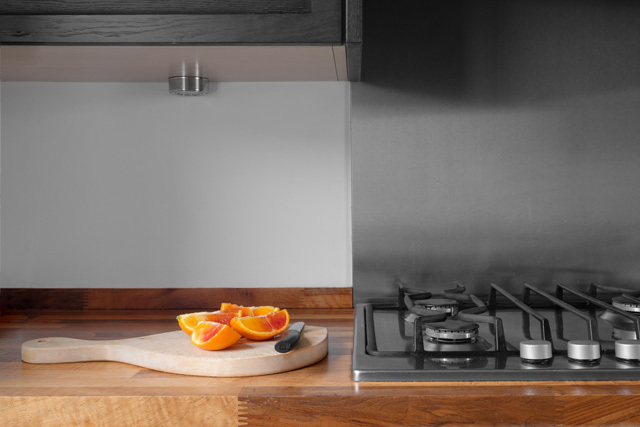 A well equipped kitchen, utility room, two bedrooms, a king with an en-suite shower room, a bedroom with bunks and a master bathroom, completes the downstairs. 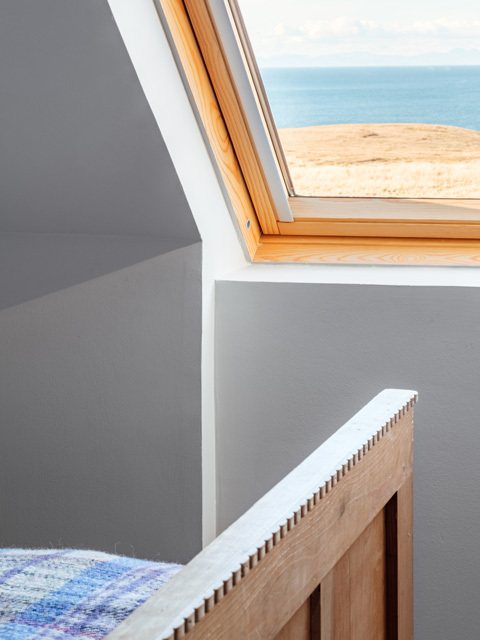 Upstairs the property has an additional two bedrooms, a king with an en-suite shower room, and a twin bedded room, both with stunning views of the sea and surrounding area. Double height lounge/dining room with large sliding windows overlooking the sea, access to exterior decked area, wood burning stove, Sky+ TV, DVD, CD, radio, ipod docking station. Dining table and seating for eight. Kitchen and utilty room, electric hob and oven, dishwasher, fridge/freezer, washer/dryer. 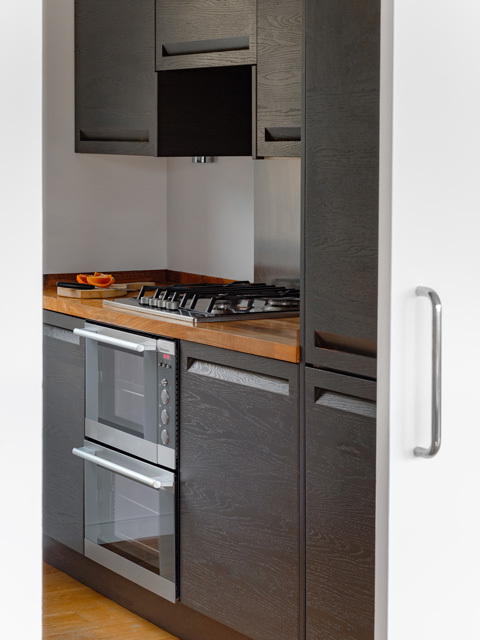 A selection of cooking equipment and all the usual crockery will be available, ironing facilities. King size bedroom, floor to ceiling windows, sea & loch views, en-suite shower room, wc, whb, heated towel rail, shaver socket, hairdryer. Bathroom with bath, shower over, wc, whb, heated towel rail, shaver socket. Oak flooring with underfloor heating throughout ground floor. Full length outside decked area. King size bedroom, sea & loch views, en-suite shower room, wc, whb, heated towel rail, shaver socket. 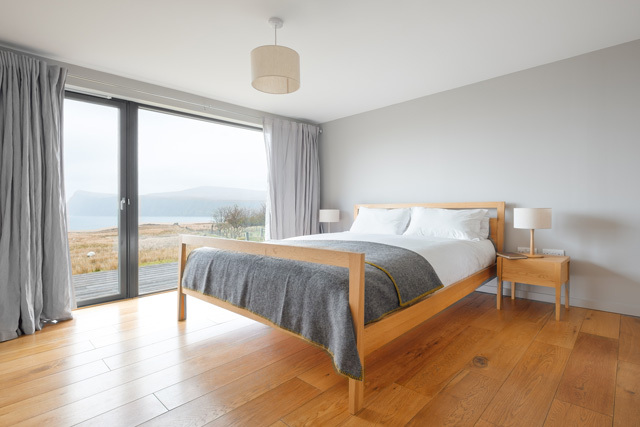 Twin bedroom, sea & loch views. Although the property will sleep 8 it will only accommodate 6 adults as the bunk beds are not suitable for adults. Electricity and 1 bag of logs provided. A good housekeeping deposit of £250.00 is required at the property. Stunning views of Dunvegan Head and the Outer Hebrides. 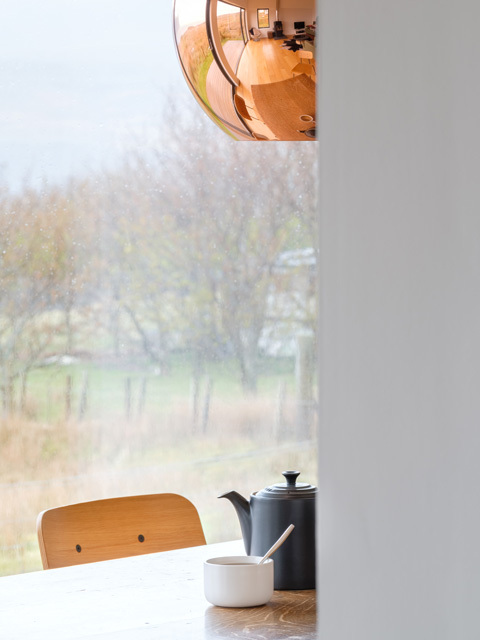 Contemporary property in an open croft setting. Fabulous - House was excellent and great location. 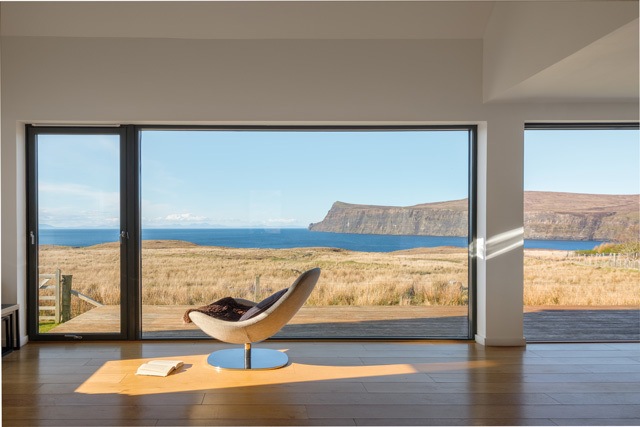 The house has everything you need and is great for relaxing with wonderful views. There's so many great things to do on Skye but make sure you get some fresh seafood like Scallops from Sconser. We'll be back. Absolutely gorgeous house in a wonderful position, the beds were extremely comfortable with lovely linen and masses of pillows, the view is sensational, the design of the house, ideal. It's been equipped beautifully so you have everything you need, but it's wonderfully uncluttered. We would very highly recommend it. A fabulous house, very relaxing, wonderful views and all the comforts of home with sky plus and wifi. 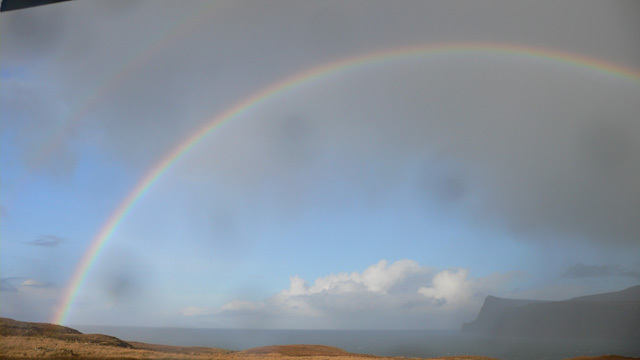 The peace and quiet is wonderful and if you get the weather there is no finer place than Skye. 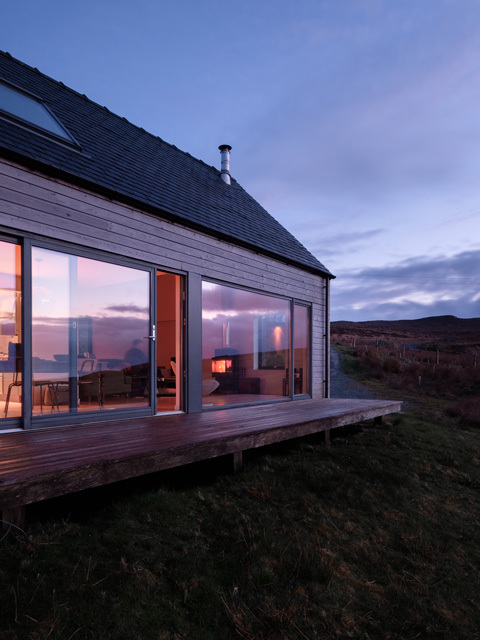 The Skye Woodhouse is a dream come true. A place with spectacular views, quietness. The house is very well built and spacious. We recommend this house a lot. We will definitely come back there! 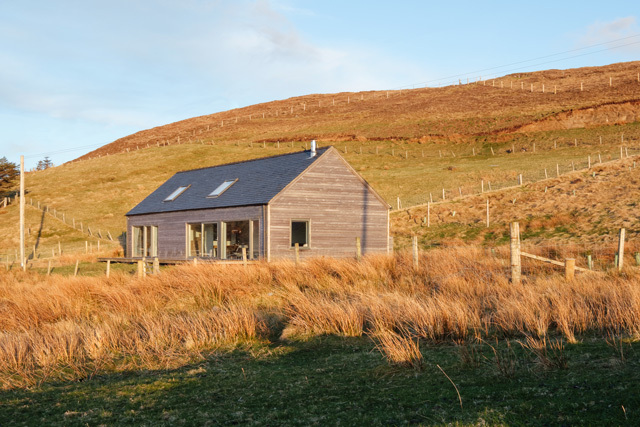 The Skye Woodhouse under promises and over delivers. No description could ever describe the amazing views and the sense of peace and isolation. When you return home you'll want to send every stressed out friend for a week. July 2010. Despite poor weather had a fabulous time at Skyewoodhouse. Accommodation in idylicc location with lovely views. The house was extremely clean and beautifully furnished, always lovely and warm and, although we did not really need it we used the woodburning stove every night to add to the ambiance. 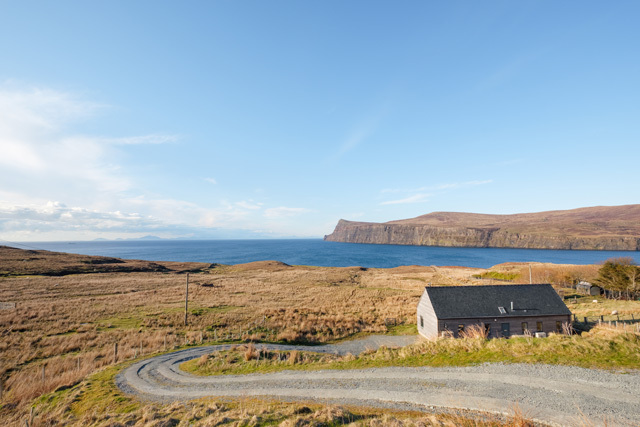 The wifi proved invaluable as we could not get any mobile signals on Skye and enabled us to book activities. We would definitely recommend. Note however that the drive down is very steep. 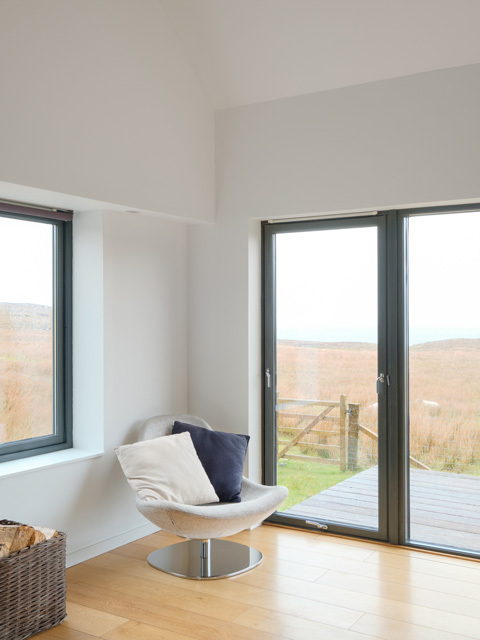 We stayed at Skye Woodhouse and had a wonderful relaxing time. The house was comfortable and modern and was very nice to have a wifi connection, maybe next year we could have the cooker instructions, althogh maybe not as then I would have to cook! Thank you for a great time.